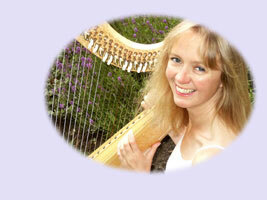 Patsy Seddon is one of Scotland's favourite and most innovative celtic harp players. A versatile and experienced musician, who sings in Gaelic, English and Scots, and also plays the Scottish fiddle in a variety of settings. Patsy regularly performs with bands and solo, in concerts, at festivals and at private events such as weddings, christenings, dinners and corporate receptions. She is in great demand as a teacher of harp and of singing, in schools, on University courses, in workshops and for private pupils. She has performed all over the world, and speaks German, Gaelic and French.